We're a couple of days from the official start of summer and I just had to share with you guys my current favorite summertime treat. This meal is super simple to make plus it's delicious. I am not a huge fan of spicy foods. However, the crushed red pepper flakes add such a nice touch. 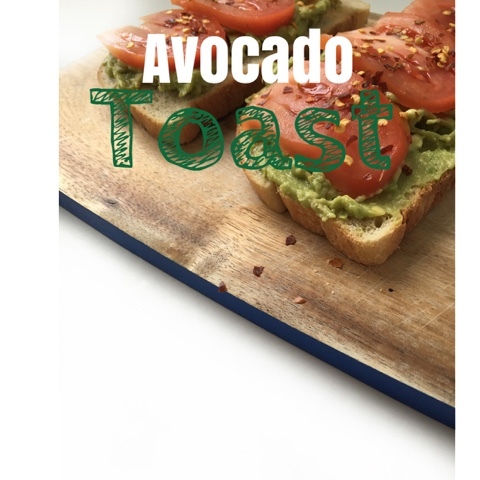 Have you tried Avocado toast before? What's your favorite toppings? Cut the avocado in half, remove the avocado pit, and scoop the avocado into a bowl. Add the lemon juice and sea salt, to taste. Mash the ingredients together with a fork or a potato masher, keeping the texture slightly chunky. Spread half the mash mixture onto each slice of your favorite toast. Add one layer of tomato (sliced) and garnish with some red pepper flakes. I love avocado toast! It's such a simple concept, yet so much flavor! I feel like it's such a treat! Oh my gosh, yes please! Avocado toast is so good. I haven't had it in ages. I must remedy that. I have some avocado around, might try this. I see pictures of smashed avocado on toast all over Instagram. Time to see what the fuss is about!!! Thanks for sharing the recipe! avocado is one of my favorite vegetables in the world! I could eat this every day. There is some sandwich shop not too far from where I live that does avocado toast that is pretty good. Then again avocado seems to make everything just a little bit better. This is such a healthy recipes and delicious. I am gonna be making this. Simple yet delicious.. I eat this every morning only I add eggs to it. It's simple to make and super healthy. I keep seeing avocado toast everywhere. I'm going to have to try it. this looks delicious! 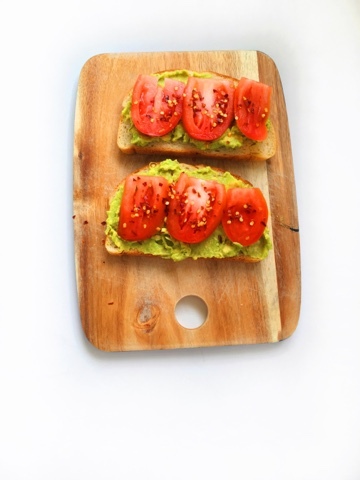 I love avocados and tomatoes! I should start making this for lunches. I love avocado toast !!! Its the perfect pairing and yours look so good with those sliced tomatoes on top. I would totally eat this all day. I love tons of black pepper and olive oil!